Quick to assembleCoal based cooking,Portable case, fold able legsEasy to clean.One Year WarrantyWelcome to the sizzling simmering world of Prestige Barbecue. Starry nights and the aroma of food frilled on charcoal. Be the center of fun and attention while you cook up a storm for family and friends. 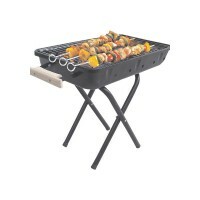 it's easy with the stylish new array of Prestige barbecue grills. So what are you waiting for? Let's put that apron on and how the barbecue of the season!.. Quick to assembleCoal based cookingDetachable legsPortableEasy to clean.One Year WarrantyWelcome to the sizzling simmering world of Prestige Barbecue. Starry nights and the aroma of food frilled on charcoal. Be the center of fun and attention while you cook up a storm for family and friends. 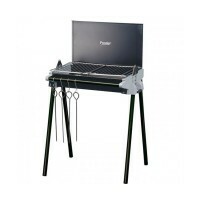 it's easy with the stylish new array of Prestige barbecue grills. So what are you waiting for? Let's put that apron on and how the barbecue of the season!.. Quick to assembleCoal based cookingTwo sizes of skewersPortableEasy to clean.One Year WarrantyWelcome to the sizzling simmering world of Prestige Barbecue. Starry nights and the aroma of food frilled on charcoal. Be the center of fun and attention while you cook up a storm for family and friends. 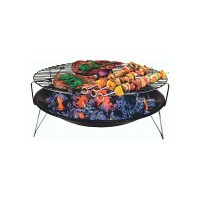 it's easy with the stylish new array of Prestige barbecue grills. So what are you waiting for? Let's put that apron on and how the barbecue of the season!.. Quick to assembleCoal based cookingUnique warming rackUnique air damperPortable casefold able legsEasy to clean.One Year WarrantyWelcome to the sizzling simmering world of Prestige Barbecue. Starry nights and the aroma of food frilled on charcoal. Be the center of fun and attention while you cook up a storm for family and friends. 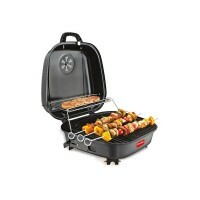 it's easy with the stylish new array of Prestige barbecue grills. So what are you waiting for? Let's put that apron on and how the barbecue of the season!..